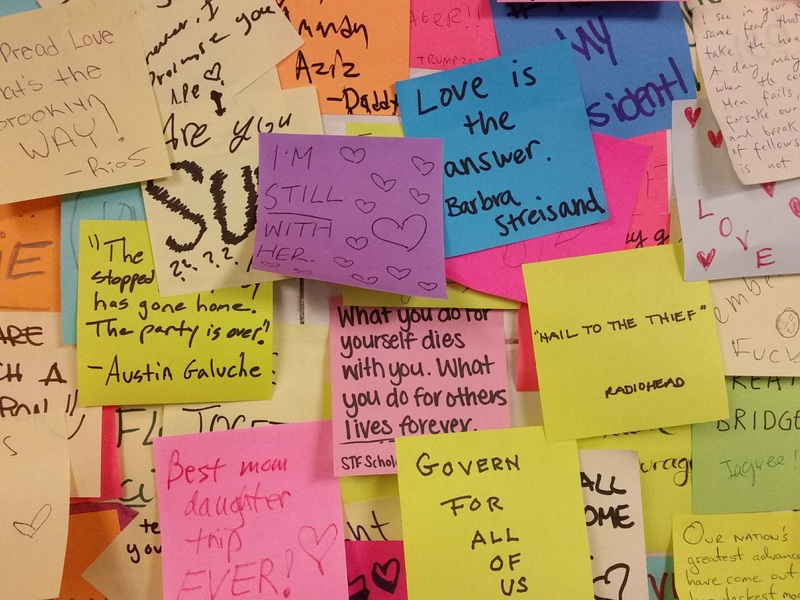 The Union Square subway station is full of emotional Post-its mourning the outcome of the election. What’s remarkable isn’t the sheer quantity. 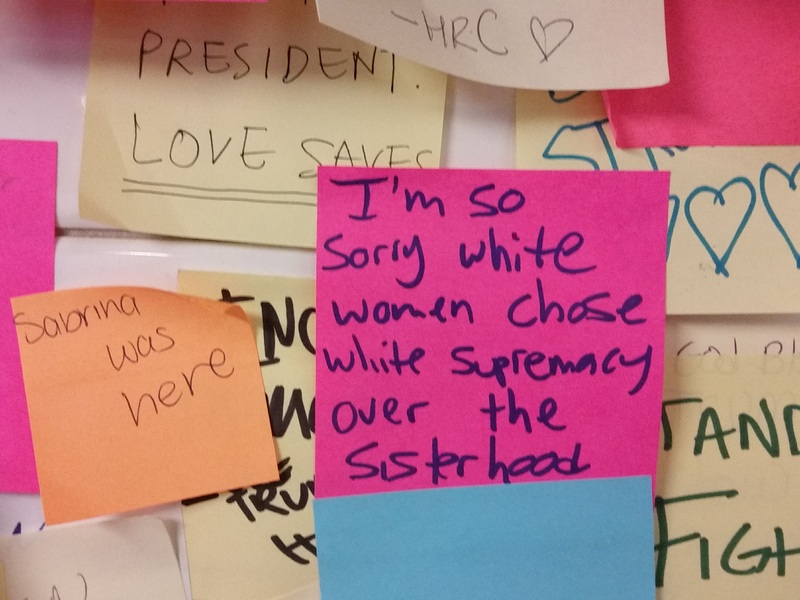 What’s remarkable is that three weeks after the election no one has torn them down. 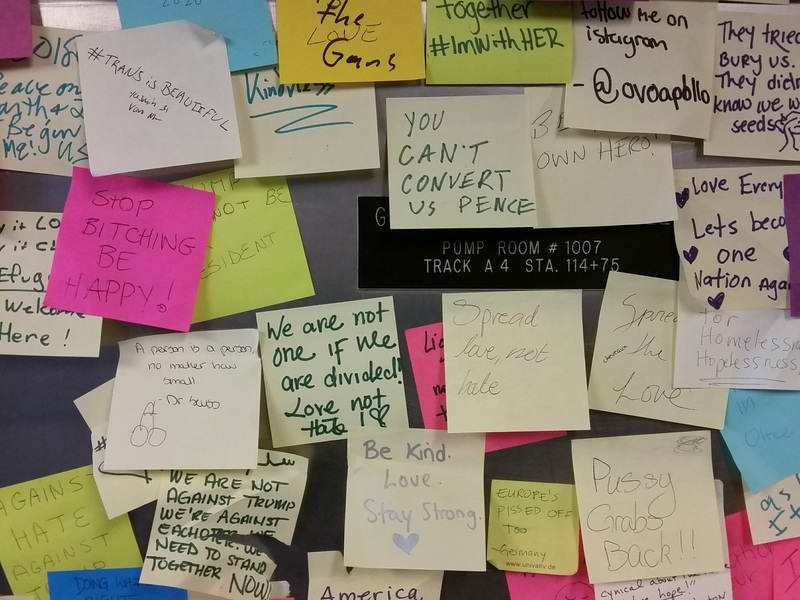 I would have thought a Trump supporter would have tried; or someone tasked with cleaning the subway would have done it. At the very least, I’d expect a homeless person to hear a voice telling him to do so. 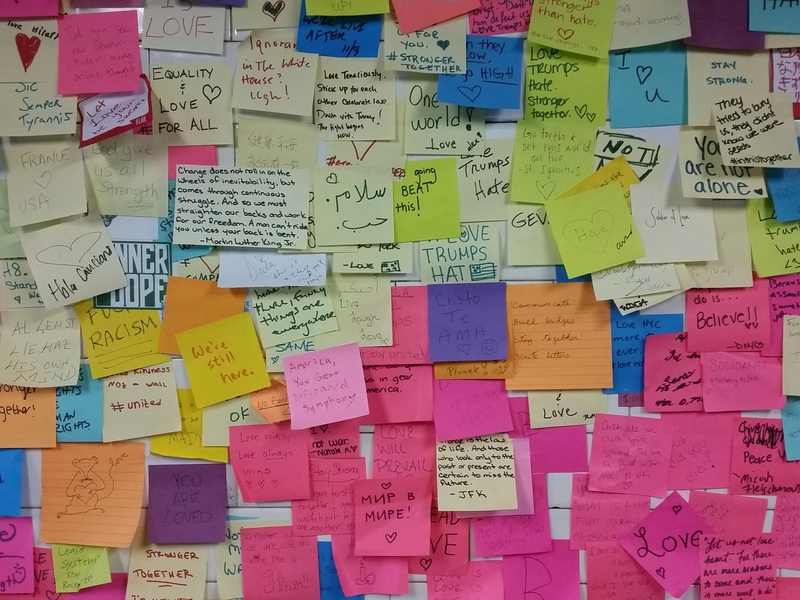 Maybe people are taking them down and other people are adding new ones every day. In any event, it’s a remarkable record of the shock, grief and fear generated by Trump’s victory.